Working the muscles in your lower face helps lift your features, refine your skin, sculpt your cheeks, plump up your lips, and firm the skin around your neck. Exercising muscles in the middle of your face improves facial structure, pulls up the cheekbones, rounds out the cheeks, and prevents the formation of crow’s feet and nasolabial folds (also called “laugh lines”). Working on the upper face helps to relax your eyelids, prevent frown lines, and support the skin of your forehead and temples, which is essential to maintaining muscle tone in all of your features. There are 30 facial exercises in The 5-Minute Facial Workout, each with clear instructions and color photographs demonstrating the movement, so it’s very easy to follow. 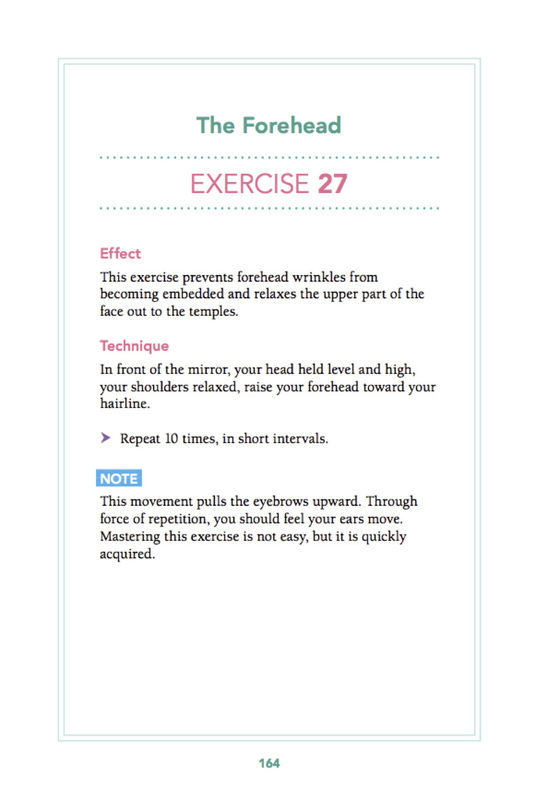 I received permission from the publisher to share two exercises from the book, one for lips and one for the forehead, so here they are! 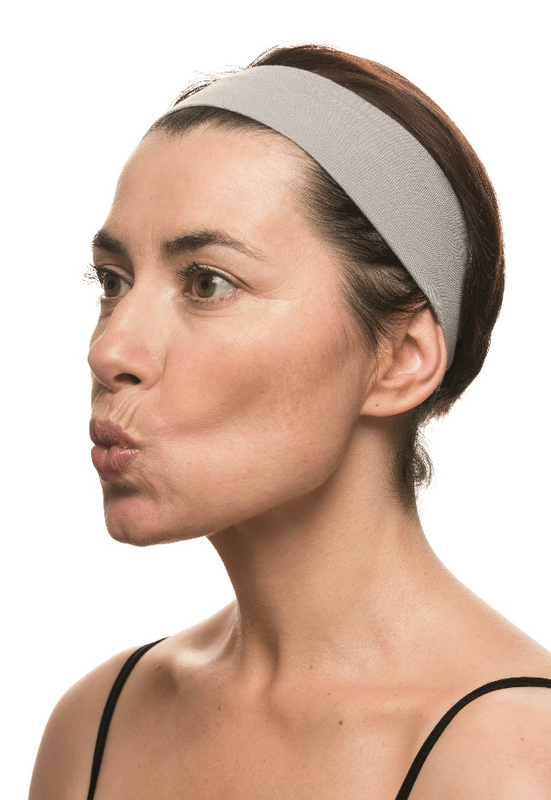 Images courtesy of The 5-Minute Facial Workout: 30 Exercises for a Naturally Beautiful Face by Catherine Pez, 2014 © www.robertrose.ca Reprinted with publisher permission. 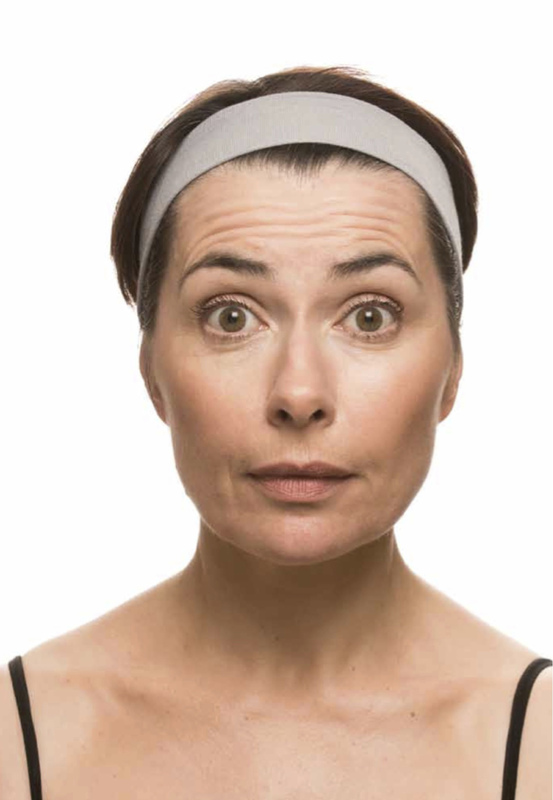 It certainly makes sense that if you tone your facial muscles it will help improve those wrinkles! 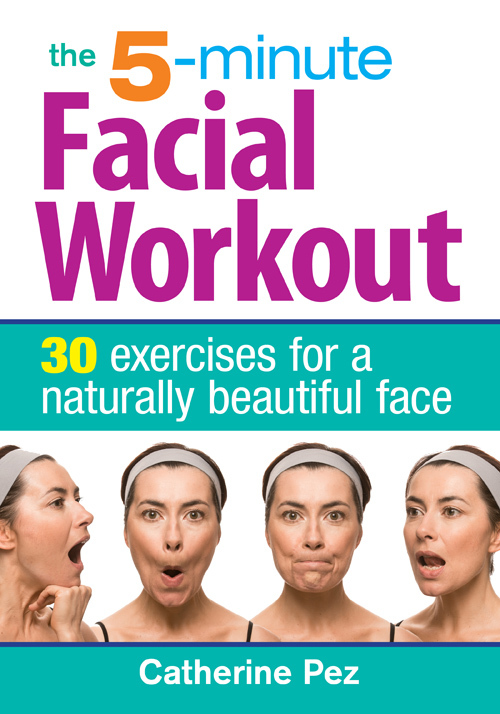 Have you ever tried doing facial exercises? Is it something you may start doing? This entry was posted in DIY Home/Health/Beauty, Healthy Living and tagged exercises, facial exercises, Facial Gymnastics, The 5-Minute Facial Workout on April 2, 2014 by nancyc. Thanks for sharing…. unfortunately is time to start even the facial workout! Oh man, I’m going to do these all the time now! I know my grandma used to do something like this! And she has phenomenal skin for someone her age! I’ve heard about this but have yet to try it. I’m afraid I’ll get too used to it and start randomly exercising my face in public. Hehe. Heheh, now we’d have to do it together! In public!